Colonel Chuck Schluter began his military career in the United States Navy and served as a Petty Officer from 1965 through 1969 in Pacific and Southeast Asia waters during the Vietnam War. He later transferred to a United States Army (Hercules) (Air Defense Artillery) guided missile base. He subsequently attended Officer Candidate School. An enjoyable and rewarding career concluded with his assignment as the Director of Personnel, G-1, for the Headquarters, Connecticut Army National Guard. Upon his retirement, Chuck was promoted to Brigadier General in the Connecticut Army National Guard, a non-Federal appointment, for his exceptional dedication and outstanding service to the State of Connecticut. Chuck is married to the former Marie DiPaolo of Patchogue, Long Island, New York who he met in High School in 1961. They dated through those years and upon his first return from Vietnam in 1966 they married. Chuck and Marie reside in Cave Creek, Arizona, and their daughter Elizabeth lives nearby. Colonel Schluter’s awards and decorations include the Legion of Merit, Meritorious Service Medal; Army Commendation Medal (3); Navy Good Conduct Medal; National Defense Service Medal (2); Vietnam Service Medal (10); Armed Forces Reserve Medal; Humanitarian Service Medal (2); Army Reserve Component Achievement Medal (6); Vietnam Gallantry Cross with Palm; Republic of Vietnam Campaign Medal; Connecticut Emergency Service Ribbon (6); the Connecticut Medal of Merit; and Connecticut Long Service Award (25 Years). 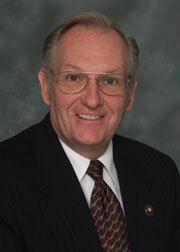 Colonel Schluter volunteered to serve as the President of the Arizona Chapter of the Retired Officers Association in 1998 after a prolonged period of Chapter inactivity. Through his leadership, ideas, enthusiasm and personality the Chapter rebounded, membership and participation increased, and in 2005, the revitalized Chapter celebrated its 50th Anniversary. Chuck was also elected to the National Board of Directors of the Military Officers Association of America and served as a Director from 2002 until 2008. In addition to being a MOAA Past Arizona Chapter President and a former member of the MOAA National Board of Directors, Chuck is also the Past President of the National Guard Association of Connecticut and a former Vice President of the MOAA Arizona Council of Chapters. He is a Life Member of the Military Officers Association of America, a Life Member of the Connecticut National Guard Association (NGACT), a Life Member of the National Guard Association (NGAUS), and a Life Member of the National Guard Association of Arizona. He also belongs to numerous other veterans service organizations while remaining active in MOAA Chapter and National affairs. Colonel Schluter was inducted into the Arizona Veterans Hall of Fame (AVHOF) in 2007. He was ultimately elected as the Vice President of the Arizona Veterans Hall of Fame Society (AVHOFS) in 2009 and as President in 2010. He also served as the Director of Employer Outreach and later as the Director of Training for the Arizona Employer Support of the Guard and Reserve (AZ ESGR) during the Operation Enduring Freedom and Operation Iraqi Freedom. Chuck believes in and practices the motto of the United States Army Corps of Engineers “ESSAYONS”, (“WE WILL TRY”) in all he does.